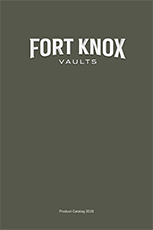 You have the advantage when you select a USA manufactured hand crafted vault. Select the safe that best fits your needs rather than just settling for what comes off the end of the assembly line. Custom build your safe by selecting your color, steel thickness and perfect options.